Welcome to the online home of Carla E. Anderton. Ms. Anderton is an author, editor, arts administrator and, above all, strives on a daily basis to be a decent human being. Some days, she is even successful. She is also an adjunct professor of English. Anderton graduated from Seton Hill University with an M.F.A. in Writing Popular Fiction on January 11, 2012. At the graduation ceremony, she gave the commencement address, the text of which is accessible on her blog. 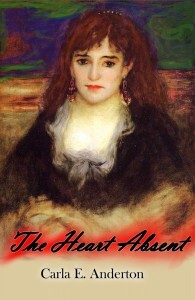 Anderton’s debut novel The Heart Absent, which was published by New Libri Press in April 2013, is a historical horror/suspense novel about Jack the Ripper in love. When asked, she describes it as “My Fair Lady gone horribly wrong.” Pick up your copy on Amazon Kindle today! When not writing, teaching or speaking, Anderton’s home away from home is the Jozart Center for Arts, where she is President of the Board of Directors. She is proud to report the organization was awarded 501(c)(3) status in late 2011, an effort she helped spearhead.